India's second largest smartphone maker launched new Android smartphone called Canvas Ego A113 with 4.7-inch WVGA display. The phone now available on Indian online stores Snapdeal and eBay for Rs. 12,950 onwards. And the phone comes with dual SIM functionality. 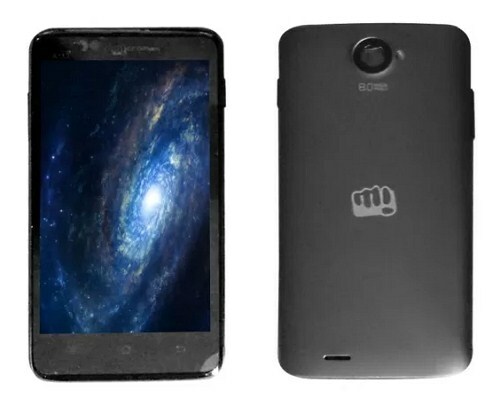 The Micromax Canvas Ego comes with 1.2GHz quad core processor with 1GB RAM and runs on Android 4.1 Jelly Bean operating system. It has 4GB of internal storage space and allows users to expand up to 32GB with microSD card. The phone equipped with 8MP of rear camera with Auto Focus and LED flash and also the phone has 2MP of front facing camera. And the device comes 2000 mAh polymer battery. For connectivity the phone supports Bluetooth, WiFi and more.